ATC Construction are now installing Solar Panels as part of our microgeneration energy savings measures. You may ask yourself, what is microgeneration? Microgeneration is the small-scale generation of heat and electric power by individuals, small businesses and communities to meet their own needs, as alternatives or supplements to traditional centralized grid-connected power. 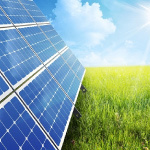 Generate cheap, green electricity from sunlight. Solar panel electricity systems, also known as solar photovoltaics (PV), capture the sun’s energy using photovoltaic cells. These cells don’t need direct sunlight to work – they can still generate some electricity on a cloudy day. The cells convert the sunlight into electricity, which can be used to run household appliances and lighting. • Get paid for the electricity you generate. The UK government’s Feed-in Tariff scheme pays you for the electricity you generate, even if you use it. • Sell electricity back to the grid. If your system is producing more electricity than you need, you can sell the surplus back to the grid through the Feed-in Tariff scheme. • Cut your carbon footprint. Solar electricity is green renewable energy and doesn’t release any harmful carbon dioxide or other pollutants. A typical home solar PV system could save over a tonne of carbon dioxide per year – that’s more than 30 tonnes over its lifetime. How Do Solar Panels Glasgow (PV) work? 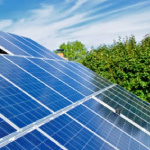 If your system is eligible for the Feed-in Tariff scheme, you could generate savings and receive payments of £610 – £740 a year depending on your location if you register before July 2015 (based on a 4kWp solar PV system eligible for a generation tariff of 13.39p/kWh). You will get paid for both the electricity you generate and use, and what you don’t use and export to the grid. 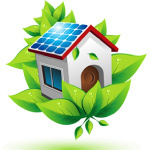 • Larger systems are usually more cost-effective than smaller systems (up to 4kWp). 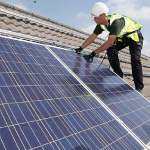 • PV panels are all about the same price per kWp, but PV tiles cost much more than a typical system made up of panels. Solar Panels Glasgow. Solar PV is eligible for Feed-in Tariffs and you will earn a tariff for each kWh of electricity generated by your system. You will also receive another tariff for each kWh of electricity you export. You can visit our Solar Energy Calculator to find out how much you can save and earn through Feed-in Tariffs. This technology is an eligible measure under the UK government’s Green Deal which is a financing mechanism that lets people pay for energy-efficiency improvements through savings on energy bills. Solar Panels Glasgow. Solar PV needs little maintenance – you’ll just need to keep the panels relatively clean and make sure trees don’t begin to overshadow them. In the UK panels that are tilted at 15° or more have the additional benefit of being cleaned by rainfall to ensure optimal performance. Debris is more likely to accumulate if you have ground mounted panels. The variable options of Solar Panels Glasgow at first glance may appear overpowering with information overload, but in fact our advisers can determine very quickly which part(s) of microgeneration will benefit you & the property you live in. Call our Solar Panel Glasgow information line for details 0800 6906909 or use our contact page and start saving money immediately.